Shower shoes are an essential form of protection against foot fungus and bacteria that can be picked up at the gym, in dorms or when traveling. 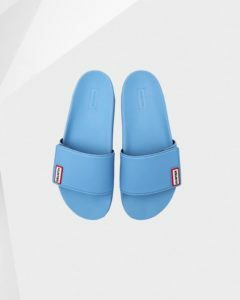 Some women use flip flops or athletic slides as shower sandals, but there are a few things that you want to have in footwear that you are wearing when it is wet. You want them to be completely waterproof, have drainage, so water doesn’t pool at your feet, and they need to have a non-slip tread, so you don’t slip on wet surfaces. We have found some of the best styles that meet these requirements for that will keep you safe and comfy on wet, slippery floors. This Vertico style is a favorite unisex design that is rubber with a synthetic sole that has dependable traction. The sandal will dry out quickly, and this style compresses well if you need to pack it in luggage or a gym bag. The Vertico is known for being really comfortable, supportive, and extremely lightweight. One of the best things about this design is that they aren’t expensive for the quality and durability you are getting. Since they are unisex sizing, be aware that they may run a little wide for most women. So if your foot is average or small sizing, this may not be a good option for you. The material of the shoe is waterproof, soft, and very comfy. The edges turn up a bit all the way around so they can keep any standing water out of the footbed that may be on the floor. The one downside to the raised edge around the sole is that you do get a little bit of water pooling in it, but it is easy to shake off. Probably the best feature of this design is the tread on the outsole; it grips well so most women will feel safe walking when the floor is wet. A great brand to check out for shower shoes is Showaflops. 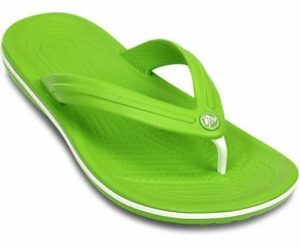 They have a tonne of cool looking flip flops, as well as some slides that are perfect for any wet public floor situation. 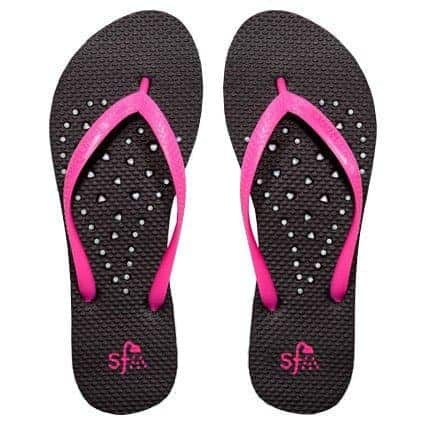 Sometimes flips flops can be very slippery and dangerous to wear on a damp surface, but you won’t have that problem with Showaflops, they are non-slip so that they can get a good grip on slippery floors. The drain holes on the footbed mean that they are quick to dry and water won’t pool around your foot. The Showaflops are also very comfortable, which is often hard to find with flip flops. The price may be a little more than you are used to paying for flip flops, but they will hold up well, and you won’t have to worry about falling due to slick wet floors. The rubber is antibacterial and is super comfortable for most women. The Nike Women’s Kawa is a little bit of a hard slide to find in stores, but they work well for their intended purpose as a shower slide. They are all rubber and have the drain holes, so water isn’t trapped. They work great for the gym so you won’t slip on the floor, and they dry quickly, so you can put them in your gym bag and not have to worry about mildew issues. Most women find them comfortable and lightweight, and the footbed is slightly textured to give you a massaging feeling as you walk. Crocs Unisex Crocband Flip Flop is not only a great flip flop, but they also work well as a shower shoe. They are a comfortable, waterproof rubber that is a dream to wear and most women find them to fit well and have decent support. They also have a sole that can grip the floor well when they are wet. While the footbed also manages to hold on to the bottom of the foot, so you won’t slip around in the Crocband, which is something that can be a problem with some styles of flip flops. Since they are rubber, they dry very quickly, and they have anti-microbial properties, so you don’t have to worry about mildew and odor like you would with other styles. The Crocband comes in a lot of beautiful, vibrant colors, but be a little bit careful with sizing if you are ordering online as they are unisex, so for women’s they do run a little on the wider side. 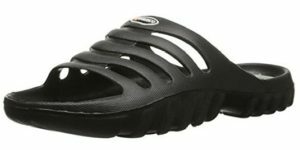 The Teva Women’s Tirra Slide Sandal is a bit of an unconventional choice as a shower sandal, but it works great as it has a super grip and is waterproof. It may be a good option for you if you have foot pain issues and need a design that has good arch support. The footbed is extremely comfortable right out of the box and requires no breaking in time, and they come with two adjustable straps to help you get the best fit possible. The only downside to this design is the price; they run around $60 which is quite a lot for a flip flop. If you are looking for a designer option, this slide from Hunter is showing up in all the stores this summer. They are rubber with a tiny amount of what seems to be a microfiber under the strap. They are pretty expensive and maybe aren’t the most practical option as a shower sandal, but they are adorable and come in some gorgeous colors. They should work well because the grip on the bottom looks to be pretty good and this slide is intended to be a pool slide so that means it can handle getting wet and as well as slippery floors. This version of the slide lets you adjust the strap for a better fit, so they should fit most women fairly well whether you have a regular or wide foot, although maybe a little too wide if your foot is narrow. Women love the Hunter brand rain boots, so if you are a fan, you may want to check this style out. Birkenstock has a whole range of waterproof options that would work well in the shower. One of their most popular waterproof styles is the Madrid Essentials. It has Birkenstock’s legendary support and comes in a rainbow of color options. What is fantastic about the Madrid is that they are comfortable, really easy to slip on and off, and they are much, much cheaper than regular Birkenstock styles. They make a great alternative to flip flops for those who have fallen arches and are unable to wear super flat styles. They have good traction which is very important when exposed to wet floors. Cleaning– Make sure you clean your shoes at least once a week with a reliable cleaner, especially if you are using them in public showers. Remember that your sandal may pick up bacteria on the bottom of the shoe, so it is a good idea to give the shoe a rinse with a cleaner to kill any lingering stuff that may have attached itself. You will also want to stop any mildew forming if you are packing the sandals when they may still be wet and putting them into a gym bag. Anti-slip traction– If you have ever worn a cheap pair of flip flops anywhere where there is a wet floor you will know how easy it is to slip either out of the shoe or slip on the floor. Designs that have dependable traction on the sole are very important in a shower shoe to avoid any potential injuries. It is also worth looking for designs that have a footbed that also has traction and will grip the bottom of your foot and stop it from sliding out. Antimicrobial– Anti-microbial products are also well worth looking for in a shoe that you are planning on wearing in the shower. Not only will it help prevent odor, but it will also give your feet a little bit more protection against fungi lurking on the wet floor and help stop mildew from forming if you are packing and storing the shoe while it is still wet. Drain Holes– Drain holes are a nice-to-have feature on any shoe that you are always getting wet. The purpose of the holes is obviously to allow the water to drain as it hit the shoe, so it doesn’t puddle around your foot, it also helps them to dry quickly. If you are bothered by the possibility of bacteria and fungus on a wet public floor, you may not want to go with the drain hole styles. The reason would be that you may want your foot to be fully protected from microorganisms that are the floor and you might feel a little bit more exposed to whatever is on the surface, although the chance of picking up anything through the holes is minimal.